I can’t tell you how much I love Gennine’s Art Blog. If you haven’t visited it before head over there right now and check out the macrame belt she made this weekend for her pet rock – hilarious and amazingly beautiful! 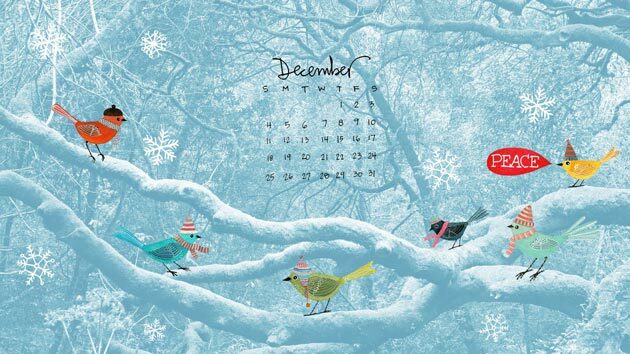 She also recently posted a download of a December calendar screen saver (see below) – it makes me smile every time I sit down at my computer ! Take a break and get lost in her design for a little bit – not too long though, it is Monday and we’re supposed to be productive right?